Shop for split, window or inverter air conditioners from the best brands, on the Bajaj Finserv EMI Network. Bring home the best ACs with the latest features and make your home a more comfortable living space. Choose the Bajaj Finserv EMI Network to shop for the best ACs from brands Blue Star, Godrej, Haier, Hitachi, Voltas, LG, etc. and divide the cost to pay on EMI. All you need to do is walk into your favourite store, ask for EMI Network from Bajaj Finserv, and convert the air conditioner price into EMIs. This summer, Bajaj Finserv brings to you a unique offer that helps pay for your air conditioner and your electricity bills on easy EMIs. What’s more, you can shop for the latest air conditioners at select partners, you can get a cashback of up to Rs. 500 on your electricity bills. You can also purchase the best air coolers, LED TVs, and refrigerators on the Bajaj Finserv EMI Network and get special offers customised to you. But hurry, this offer is only valid until 30th-June-2019. Buy an AC worth Rs. 20,000 and get an Insta Credit of Rs. 5,000 on your Bajaj Finserv Wallet app. What’s more, when you shop for an air conditioner worth Rs. 40,000, you can get an Insta Credit of Rs. 7,000 so, you can pay your electricity bills on EMI. Split conditioners, window air conditioners, inverter air conditioners, and more – shop for an AC that suits your needs on the Bajaj Finserv EMI Network and bring home your air conditioner on EMI without a credit card today. You can shop on the Bajaj Finserv EMI Network if you are between 21 and 60 years of age and have a regular source of income. If you don’t have an EMI Card, please submit: KYC documents, a cancelled cheque, 1 photo, and a duly signed ECS mandate. Processing fees for ACs vary from product to product and start at Rs. 549. Shop from the best air conditioner brands and get the best AC offers only with the Bajaj Finserv EMI Network. How can I buy ACs on EMI? You can buy appliances like AC on EMIs without credit card on the Bajaj Finserv EMI Network. To shop, check out your pre-approved EMI Network offer on our website, visit a store near you, select your favourite product and but it with your EMI Network Card. Where in India can I shop for appliances on EMI? Bajaj Finserv presently offers ACs and other appliances on easy EMIs in more than 1,300 cities in India. Use the store locator to find a store near you and head there to avail a consumer durable loan today. How can I avail a consumer durable loan to buy ACs on EMI? Once you have decided on the AC of choice, visit any of our partner stores, contact our representative and complete the process to get a loan for your air conditioner. If you already have an EMI Network Card, you can swipe it to avail the loan. What are the features and benefits of buying ACs on the EMI Network? Read more about the features and benefits of shopping for an AC on the EMI Network here. Please check the documents section under How it works on this page and see what you need to submit to avail a consumer durable loan. Use your Bajaj Finance card to buy an AC on No Cost EMI. You can log in to your account on Experia to find the information you need or you can call our customer care at 020 – 3957 5152 (charges apply). What is the interest payable on the appliances you buy on the EMI Network? ACs can be bought on easy EMIs without bearing any extra cost. Your purchase amount is divided directly into monthly installments. Buying your favourite AC, microwave, washing machine, or any other appliance on the EMI Network is easy and hassle-free. Learn more about the Bajaj Finance products list below. Check out the best EMI offers and deals on ACs and other appliances like fridges, washing machines, LED TVs, air coolers, etc. on the Bajaj Finserv EMI Network. Browse your favourite appliances online or offline across the best brands including Godrej, General, Carrier, Whirlpool, Lloyd, LG, Voltas, Hitachi, Bluestar, and more, avail a Bajaj Finserv consumer loan, and pay for it on easy EMI without a credit card. 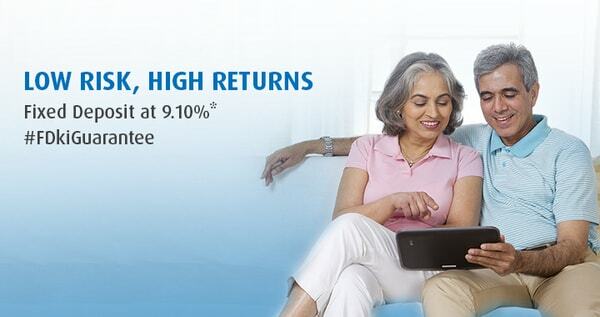 Bajaj Finserv lets you avail the EMI facility to repay the cost of the AC over a tenor that works for you. Simply browse hundreds of models from popular AC brands in India, share your basic details, and avail a Bajaj Finserv consumer durable loan. Shopping on the EMI Network is really that simple. Looking for the best AC offers online and offline? Think it. Done with Bajaj Finserv.